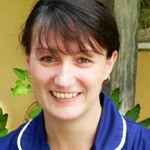 Sally joined the reception team in August 1999 wishing to pursue a new career in an animal environment. 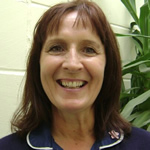 Sally is usually based at the main surgery in Stowmarket and is very well known to regular clients. Sally enjoys her work, particularly chatting with clients and sneaking cuddles with their pets! She has acquired an invaluable amount of animal care skills and knowledge over her long career with us, recently receiving a long service award for 15 years with the practice. Sally is married with grown up children and grandchildren. Karen joined our reception team back in 2007, having jumped at the opportunity for a career change to combine her many years of customer service skills with her love of animals. Karen shares her time between the accounts department and working on small animal reception across all of the branch surgeries and loves the variety that this role brings. 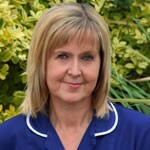 Outside of work,Karen enjoys spending time spoiling and pampering her three cats and is a supporter of Ipswich Town FC. Wendy joined our reception team in 2003 and is now a valued long standing employee. 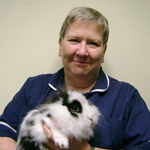 Wendy enjoys the variety of working at our different surgeries and also within Pets Place. Wendy has had an assortment of pets over the years and currently shares her home with Daisy, a border collie and a guinea-pig called Hamish. Wendy loves spending time with her family that includes two grandsons, who love to help with walking Daisy and playing Frisbee with her! 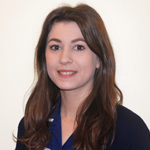 Lisa joined the reception and client care team in July 2011. She is always happy to assist clients and loves meeting pets and their owners. As well as reception duties at Stowmarket and The Mustard Pot, Lisa also helps to run the monthly puppy parties. She is a proud owner of Poppy the puggle and Pepsi the cat. 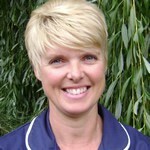 Sue joined the practice in spring of 2016 and is based at our Stowmarket branch, working between the office, reception and the pet shop.Growing up locally on a mixed family farm, Sue was always surrounded by a variety of animals and birds, large and small, and has had an assortment of family pets too. Sue lives locally with her husband, children and black Labrador Ruby. 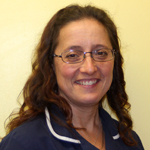 Denise has been a keen member of the reception and client care team since 1997 and is most often at the Mustard Pot branch surgery in Needham Market. Denise loves all animals, particularly dogs and has a special interest in organising and running the puppy parties that are held at the Stowmarket surgery each month. She enjoys helping the puppies to become socialised and finds it very rewarding to be able to liaise with owners to help them to provide the best start in life. 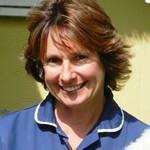 Denise is married with two grown up daughters and over the years has looked after sheep, ponies, chickens and cats. Outside of work Denise says her life seems to be centred around her two goldendoodles, Chilli and Fletcher. Lesley has a keen interest in helping wildlife, in particular many hedgehogs that she has hand-reared and successfully released back into the wild over the years. When not working, Lesley and her husband enjoy travel and the outdoors, wildlife watching and photography. She has visited many of the National Parks of America, watching bears, elk, coyote and buffalo. 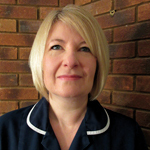 Alison joined the pet care advisor and reception team in August 2002 and is primarily based at The Old Tea Room Veterinary Surgery in Elmswell where she provides an outstanding service to its clients. Alison lives in Woolpit with her husband, children and four dogs and really enjoys being outside with them and going on long country walks. 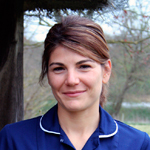 Arabelle has been with Stowe Veterinary Group since 2007 and is usually based at The Mustard Pot Veterinary Surgery. She has a keen interest in behaviour and helps to run our puppy socialisation parties. She enjoys helping clients with any initial training problems and loves interacting with the variety of different breeds. Outside of work, Arabelle and her family have their own labradoodle called Bear and they enjoy being outdoors together, taking him on lots of country walks. They are looking forward to adding a second dog to the family in the near future. 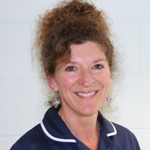 Karen joined the reception team in 2007 and can mostly be found working at our Mustard Pot branch surgery in Needham Market. It had always been Karen’s ambition to work with animals and she was delighted when she was offered this part-time position. Karen lives locally with her husband and family who between them have various pets including a dog, cats, guinea pigs, horses and lots of rabbits! Karen’s rabbits are her main hobby and she can often be found attending and/or competing at national rabbit shows.